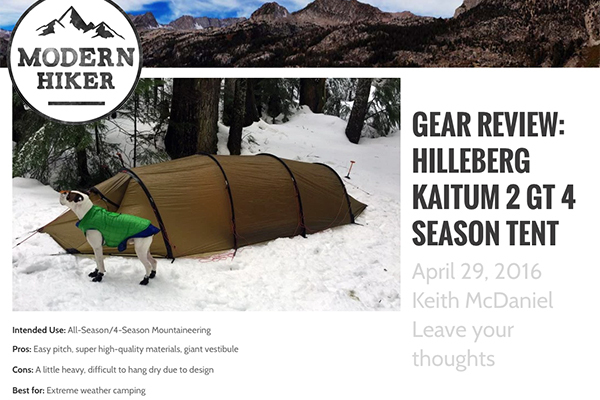 We were happy to see that Keith from Modern Hiker enjoyed his winter outing in a Kaitum 2 GT. He was impressed both by the high quality materials and by how easy it was for him to set up by himself. Visit modernhiker.com to read the full review or learn more about the Kaitum 2 GT.